The neighbourhood of Sunnylea lies between Bloor Street and Berry Road, and from the Humber River to Mimico Creek. Most of this area was originally set aside by Lieutenant Governor John Graves Simcoe by 1796 as the King’s Mill Reserve, a tract of land used by the British Government to supply timber for building ships and government structures, and operating the “King’s Saw Mill” and a shipyard on the Humber. Initially, the government leased out much of the land to earn income. By 1830-50, they had started to sell portions of the Reserve to individual farmers. By the late 19th century much of the land here was owned by market gardeners who farmed on small lots typically ranging from five to 25 acres, focusing primarily on growing vegetables and tree fruits. In 1907, Etobicoke was still a rural community and Lambton Road (now Prince Edward Dr. S.) was lined with market gardens. One and a half acres of land was purchased for the new School Section 14 to be built on the east side of Prince Edward, opposite today’s Sunnylea Av. 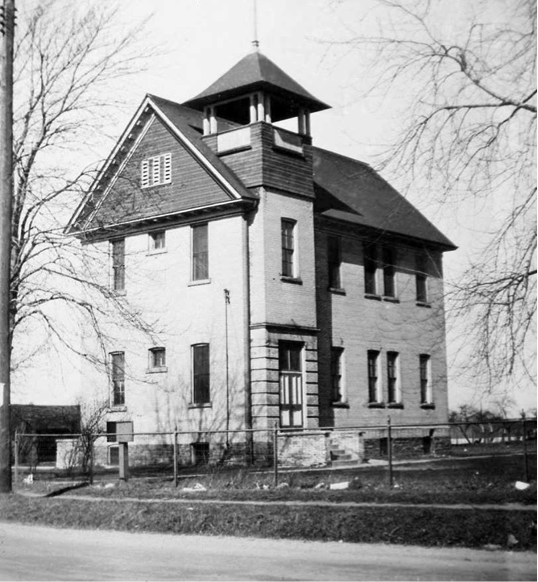 W. The school was built of white brick with two classrooms, separate entrances for boys and girls on either side of the building, and a tall bell tower that could be seen for miles around. It had an exterior pump for water and outdoor privies until 1939. The school trustees decided to hold a contest to name the school, and Edna Whitworth, age seven, won $5 for suggesting the name “Sunnylea.” Soon local residents were calling the entire area “Sunnylea”. By 1941, even this school was overcrowded and a new Sunnylea Public School opened at 35 Glenroy Av. in 1943. This school was designed by Toronto architect John B. Parkin, based on the award-winning Crow Island School in the Chicago suburb of Winnetka, Illinois. Its modernist design heralded a new era in school architecture. For Parkin, it was his first significant public commission, and Sunnylea School became a prototype that would be duplicated in over 200 schools across Ontario. ​Sunnylea School’s new features were that it was a single storey, with classrooms situated on a north/south access to take advantage of natural light. Each classroom had a large expanse of window, as well as its own door leading directly to the exterior with its own play and garden area. Desks were no longer attached to the floor, and each student had a separate, moveable chair. Many of these features are still used in schools today. ​The original Sunnylea School on Prince Edward Dr. S. was demolished in 1953 and replaced by Sunnylea Park. ​One of the earliest settlers in what would become Sunnylea was Alexander Thompson who received 200 acres of land in 1803 for his service to the British during the American Revolution. His property extended from Bloor Street south to Leland Avenue, between Islington Avenue and Royal York Road. Alexander called the farm on the north half of his property “Rose Bank” and he built a stone house on the south side of Bloor, about where Thompson Avenue is today. In 1805, he sold the south 100 acres of his property, but in 1855 it was purchased back into the family by Alexander’s grandson Archibald, who called that half of the farm “Spring Bank.” By 1861, there was a brick two-storey house on the Spring Bank property. This new house had a hipped roof and an exterior of red brick with yellow brick quoins. The original verandah across the front of the house was replaced around 1876 by a Neo-classical portico with a balcony above. ​Today this house still stands at 7 Meadowcrest Rd. with its original oak front door, cherry banisters and ten foot high ceilings. The family focused on tree fruit farming, becoming known for the high quality of their apples, pears, plums, and cherries. A street in the neighbourhood is called Orchard Crescent after the Thompson orchards, and as late as the 1950s, there were still Thompson descendants living in three houses on Thompson Avenue. House built by Archibald Thompson ca. 1861 at 7 Meadowcrest Dr.
Gradually large farms like that of the Thompsons were subdivided into smaller market gardens. It is impossible to tell the stories of all of the individual gardeners who lived in Sunnylea, but the following are stories of a few of them. ​William Tomlinson from England was a successful market gardener in Sunnylea who decided the area needed its own place of worship. In 1889, he erected a small frame meeting house on his own land on the east side of Prince Edward Dr. S., about where Kirk Braden Rd. is today. Initially the Plymouth Brethren conducted services, but in 1891 Tomlinson Church joined a Methodist group. The congregation was called Tomlinson United Church in 1924. In 1943 it was decided that the building (now fondly called "the little white church") should be moved to property purchased by the United Church's Home Mission Council on the northeast corner of Royal York Road and Glenroy Avenue. The original church was moved to this new location with great difficulty by cutting the structure into three sections. The inaugural service in its new location was held October 24, 1943, at which time the Tomlinson congregation joined with new members to form Royal York United Church, with a total membership of 175. In 1954, construction began on the new, larger sanctuary it has today. Tomlinson Church after it was moved from Tomlinson’s property to Royal York Road in 1943. In 1885, widower James Johnson and his five children emigrated from the Isle of Man to Canada and soon settled on a 10 acre market garden in Sunnylea. James’ second son Timothy managed the family’s gardening business from the beginning. They grew a full range of vegetables and tree fruits. In 1898, Tim married neighbour Lillie Mason. Tim had a variety of interests that enlivened life for neighbours young and old. He planted 350 yards of cosmos and petunias along his driveway each year. He built a swimming pool out of river stone for the children, followed by a miniature railway 100 yards long, powered by the kids themselves. He flew his beloved Union Jack on a 65 foot high flag pole that could be seen for miles. His son Murray became an architect, but loved gardening so much that he continued to farm eight months a year and only practised architecture in the remaining four months. In 1948 Tim retired from farming and subdivided most of his property into two residential streets called Glenellen Drive and Kirk Bradden Road. Tim died in 1951. In 1952, Murray began a third career in politics, serving as school trustee, councillor, deputy reeve and on the board of control. Timothy Johnson ploughing his market garden with horses Bob and Bill on east side of Prince Edward Dr. S. near Glenellen Drive, ca. 1910. With over 100,000 interments and 73 acres of lightly rolling land, Park Lawn Cemetery on Bloor Street at Prince Edward Dr. S. is the largest cemetery in Etobicoke, and the fourth largest in Toronto. Park Lawn’s extensive tree canopy and beautiful stone grave markers fit in well with the nearby Humber River Valley and the beautiful homes in the surrounding neighbourhoods. When it opened in 1892 on 50 acres of land, it was called Humbervale Cemetery and was funded by the sale of shares. Many of the shares were held by local farming families who are now buried there. In 1912, the cemetery was sold to a party who promised the graveyard would be maintained. However, it was soon discovered that he actually intended to turn the land into a residential subdivision. The former shareholders formed the Humbervale Cemetery Defence Association and took the owner to court. The case ended up in the Supreme Court where the former shareholders were victorious. In December 1915, the cemetery was purchased by a new company that renamed it Park Lawn Cemetery and has maintained it as a cemetery as promised. An exploration of the grave markers reveals a veritable “who’s who” of Etobicoke history. Included are: York mayor Fergy Brown, MPP John McBeth, Dr. Alan Roy Dafoe (physician to the Dione Quintuplets), musician Jeff Healey, artist Carl Ahrens, journalist Gordon Sinclair; Kingsway developer Robert Home Smith; and sports figures like Gus Ryder. There are also 96 war graves of Commonwealth Service Personnel from World Wars I and II, and two areas for British Home Children brought to Canada under the auspices of Dr. Barnardo’s Homes. ​Cemetery management encourages visitors to stroll through this tranquil corner of Sunnylea. Many people come to enjoy the wildlife, from the deer that make their way up from the Humber River valley to foxes, opossums, coyotes, racoons, chipmunks, squirrels and countless birds. Area residents horseback riding on Prince Edward Drive ca. 1920, now the southwest corner of Park Lawn Cemetery. ​Thomas Umpleby emigrated from Yorkshire, England to Canada in 1842. Initially he lived in Summerville, a small community on Dundas St., just west of Etobicoke Creek, where he worked in a cabinet and chair making factory. He found the work arduous and in 1860, he finally was able to buy land for a market garden on the east side of Prince Edward Dr. S. When Park Lawn Cemetery was being expanded in 1892, Mr. Umpleby received many offers to purchase his property but he always refused. He finally agreed to sell it on the condition that the sale would only be effective after he had passed away. This allowed him to stay on the land he loved until his death in 1903. Thomas Umpleby’s House, sold to the Park Lawn Cemetery in 1903. On the west side of Prince Edward Dr. S. at Sunnylea Av. W. there was a grocery store owned by George F. Mason. The business operated under the Red & White chain of small, independent grocers who were serviced by National Grocers to take advantage of lower bulk-buying prices. In the 1920s, widow Agnes Cowan operated the store, and she and her two children, Alex and Nan, lived in three rooms over the store, while Mr. Mason lived with his family on Bernice Av. He was also postmaster for Humberside post office until his death in 1936. During the Great Depression, this store acted as a place where unemployed people who needed assistance or financial “relief” could exchange government vouchers for food or fuel. This building still exists today as a residential duplex. Mr. Mason’s Red and White store. Note the Bell Telephone sign and the Shell gas pump on the right. Randolph (Ralph) Reid and his future wife Mary Jane Todd met when their families emigrated from England to Canada and, by chance, bought adjacent properties for market gardening in Humber Bay, just south of Sunnylea. 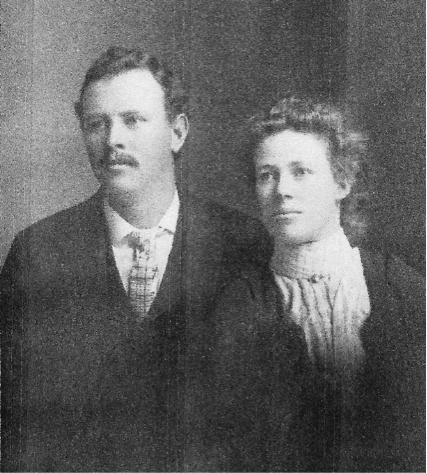 Ralph and Mary Jane married in 1895, and bought their own property in Sunnylea. Alex Cowan later described the couple as hard workers who, as a result, were very prosperous. Mary laughed often, and preferred working outside in the garden to working inside the house, so she hired a neighbour to do the housekeeping. Alex found Ralph to be more serious and was quite in awe of him. ​During harvest time, Ralph would leave home about 4:00 am daily with a full load of produce, heading for the market in downtown Toronto, returning without no leftovers. Ralph and Mary Jane had five daughters and two sons. Ralph was chair of the Etobicoke High School Board for 14 years. He died at home in 1948 after a five year illness. Today the Reid house is gone, but the stone wall that encircled their home still stands on the southwest corner of the property at 174 Prince Edward Dr. The modern street called Reid Manor leads you into the former site of the Reids’ market garden. Photo of Randolph and Mary Jane (Todd) Reid of Reid Manor in Sunnylea. By the mid-20th century, market gardening began to dwindle in Sunnylea. New generations chose different occupations than their parents and aging former market gardeners started to subdivide their properties into residential neighbourhoods. Today, Sunnylea possesses a country-like charm due to its mature tree canopy, its abundance of single family homes, the charm of Mimico Creek, and the area’s abundance of parks.